Serve fresh coffee brewed with the Avantco C10 pourover commercial coffee machine. This coffee maker keeps coffee hot for hours with dual warmers, allowing for two different pots of coffee to be available at once. 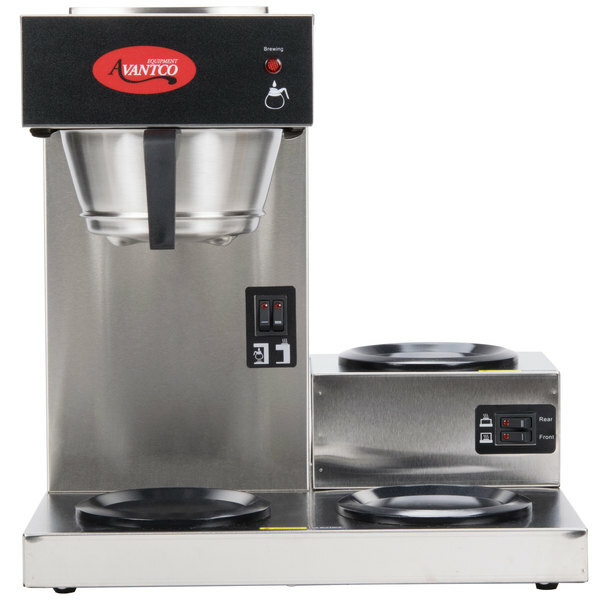 If you're looking to supply your gas station or waiting room with coffee, the Avantco A10 is the best commercial coffee machine for you. I really like this coffee maker! Not only is it cheaper than a bunn but unlike the pouromatic machine i replaced this with doesn't keep the reservoir hot with old stale water! It brews very fast too. I bought this coffee maker and it worked great for 9 months then the water didn't get hot enough to brew a decent pot of coffee. I called customer support and they emailed the warranty department my complaint. The warranty department contacted me via email and said the coffee maker is out of warranty. I should mention that I only use the coffee maker three times a week and after the coffee is done brewing I shut the coffee maker off. 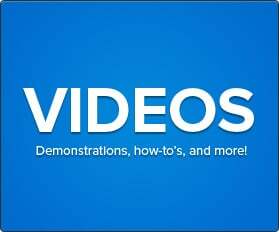 I plan on buying another coffee maker and it isn't going to be through WebstraurantStore. Broke within one year of light service. Not such a great deal after all. Will try Bunn this time around and hope for better results. We were steered to this coffee maker as we were searching for a relatively light volume coffee maker for our food truck.. Took a chance and we soon discovered this machine is no faster than a twenty dollar Mr Coffee. If you want a good looking machine for very low use, this may work for you. The only thing we used it for was making hot water to use in Hot chocolate. Since it had been used Webrestaurant store would not take it back. They did give us a store credit for about half of the purchase price which was helpful. Again, for low usage application, maybe for home use this would be fine. We use the bunn with an internal tank and the water comes out as soon as you begin pouring it in. Do not expect that with this model. It does look good and is very simple. I bought this coffee maker and it worked well for about 12 months then it started to have fumes & smoke from switch on/off panel area. I'm very disappointed that coffer maker has broken down in just one year usage. I used other brand before they all lasted longer than this one. I looked for weeks trying to find the perfect coffee pot, this is it!!! No wasted electricity and quick pot of excellent coffee. Well made and sturdy, excellent buy. We bought this for light duty use only making about 12-18 cups a day. The on/off switch broke in 14 months. I would not recommend buying this coffee maker since others have had them break so soon too. Not sure if I can buy parts for it and replace the broken switch, the manual doesn't give that switch a part number. Would be nice to fix vs add to the landfill. So like most reviews say, it is a simple coffee maker maybe slightly larger than your home brewer and would have been ideal for our store. However, we have yet to make one good pot with it. When it starts to brew, the rate at which the hot water comes out makes the brewing funnel overflow and the brewed coffee coming out just comes out in single droplets. At first I thought there might be too much coffee or the grind is to fine so that would make it overflow, but that wasn't the case. I tried just pouring warm water into the brewing funnel and realized that the same things happens with no coffee in it at all. So I guess the fault is in the brewing funnel and not the coffee maker? Faulty manufacturing? Either way, I'm going to order another brewing funnel and see what happens. We ordered this coffee maker for our deli. We liked that it was stainless steel and looked like it could handle our coffee needs. It worked for awhile and then it just stopped working. I have tried cleaning it but it takes an hour to make a half pot of coffee. This happened just after I ordered a replacement brewing funnel that did not have the wire guard in it to hold the filter in place. Also the flap on top that opens to pour the water in, the hinge rusted off and it broke off. I am very disappointed in this product. It barely lasted a year and now I am looking to replace it. The coffee maker works well, especially based on the price compared to other similar products. My only complaint is the small wire filter support at the bottom of the brew basket. I was not aware of this small item. I purchased two identical coffee makers. One has the wire support in place, and the other one does not have it. I do not know if it was not shipped with my brewer or if it was lost while opening the box. In either case, you must have this item, or a similar product, or your coffee will not brew properly. The paper filter will clog and hot coffee will spill everywhere!. I went to a local hardware store and bought a product to improvise for a replacement. I looked online and could not find a way to purchase a replacement part. So although I recommend the product, be careful during unpacking. My husband is coffee lover. Can't live without coffee from morning to evening. He used to go to expensive coffee shops, spent at least $25 every one or two weeks which was at least $1000 a year. I only drink So I got this machine for home use. It works really well because we are not a busy restaurant. More important is that it's cheaper than other brands. Use it everyday for about 2 month. So far so good. Works well when making coffee. Somewhat slower than Bunn but not significant problem. Lower burner does not keep coffee warm enough. Contacted customer service about problem and was given link to PURCHASE replacement heating for my JUST PURCHASED coffee maker. No stars for this review. The warranty covers 6 months, after 7 months, I went shopping for a replacement. FIrst, the wire guard that is in the coffee basket is a loose part sitting in the coffee basket. If you toss your filter and coffee into the garbage can, be careful, this wire guard will go with it, and YES, the coffee maker DOES NOT work without it. Oh, you can order a replacement wire guard, IF YOU CAN FIND ONE! Even Avantco is out of stock on them with no ETA for delivery. Second major problem, it leaks quite a bit. Pour water in the top, it's pouring out the back of the maker as quick as you're pouring it in. Bad design and bad product. Such a waste. Got this expecting it to be sub par honestly, but I have been pleasantly surprised with it. It brews just as well as higher end coffee makers, brewing temperature is consistent 190-200F with even distribution of water over the grounds. 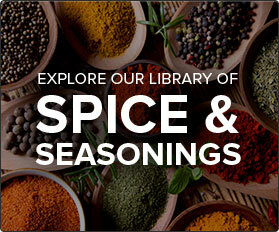 Yields a strong full flavor coffee, without scalding the grounds. 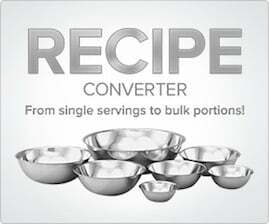 Quick and efficient and quiet, while looking great with it's mostly stainless steel exterior. Great coffee maker for the price. I'd give it 5 stars but it brews much slower than a Bunn. Overall very pleased with this item. Proven to be an excellent product. I have been using this flawlessly for 4 years now with no issues. Well worth the price. I like the fact you can pour the water in first then turn it on like a regular household machine. My bloomfield needed to have the decanter on the burner once I poured the water in the unit. The Advantaco C10 12 Cup Pourover Coffee Maker is a great bargain! Why spend twice or three times the money on a name brand coffee maker when this one is just as good! i brought this coffee maker for hotel so i used every day for more than 50 ppl every day n its works really great ! I bought this coffee maker for our cupcake shop and it worked well for about 10 months then the bottom burner went out and it doesn't heat the coffee anymore at the bottom! So after brewing I put the pot on the top burner and that keeps it hot! A real workhorse in the coffee business. We can run 3-4 pots of water thru quickly and we always have a great pot of coffee to serve our customers. Great value for money paid. I will definitely order another couple for my catering and concession business. Love that spare parts are available when and if needed at reasonable prices!!!! Just as good as the National brand, If not better! 1stClass product I will buy more, my clients and employees love them, perfect and fast coffee maker makes the perfect cup of coffee every time. Good Value for a commercial coffee maker. We've had it for 2 weeks and it makes good coffee. It's built well and replacement parts can be purchased. Was looking for a different brand coffee maker and came across this one. At about half the price, this is a great coffeemaker. Would recommend this one! This double warming coffee pot makes 12 cups of coffee! The price is fantastic considering what you actually get, I'm even thinking about buying another one! Save space with this 2 burner coffee brewer! Easy to store a freshly brewed pot on top!! Great for diners and other coffee sales driven establishments!!! This coffee machine is great for making coffee quickly. It also keeps the coffee fresh and warm with the double warmers. It can pump out 12 cups and it's a must have. 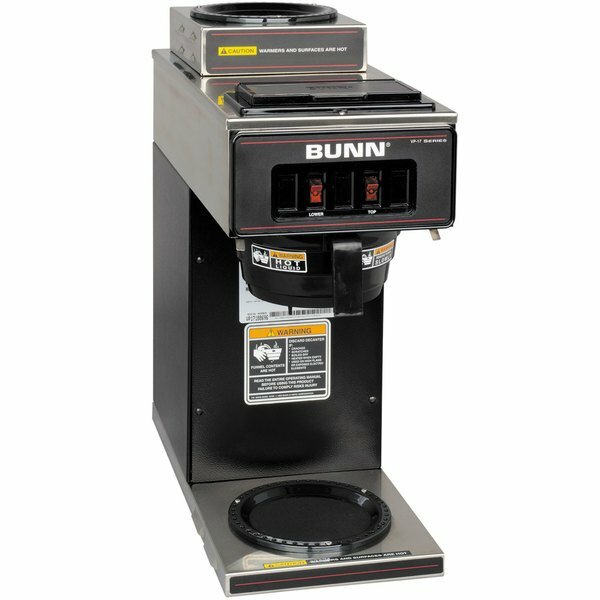 Curb your customers' caffeine cravings with the Bunn VP17-2 black low profile pourover coffee brewer! This narrow model will fit perfectly into your self-service counter without taking up too much valuable space, while still providing two warming plates to keep multiple decanters hot at once. Not to mention, the SplashGard feature will protect operators from burns, keeping safety a priority when brewing up fresh coffee for your customers. I purchased this coffee maker for my husband and myself. We both drink coffee in the morning and having two warming docks enables us both to have our own flavor of coffee. We have limited counter space, so the compact design with the second warming dock being on top of the coffee pot takes up a lot less room. We were using two different coffee pots for our morning coffee, so this design is perfect for us. Plus the pouring the water in the front of the machine is a lot more convenient than having to pour the water in the back, as other styles do. 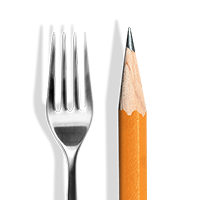 Thank you Webstaurant for offering this to the general public and such a low cost. THANK YOU. This is a compact coffee brewer that can still put out a lot of coffee. The dual warmers are great for keeping both decaf and regular coffee at hand. The versatile Avantco C30 pourover commercial coffee maker features three warming plates, making it an excellent choice if your customers demand variety. Whether you offer different flavored brews or keep it simple with decaf and regular, your customers will appreciate having options. The worst coffee maker in the world. Purchased the first one in Oct 2013 and had to ship it back and got the new one in March 2014 and both machines did the same thing. Worked great for about two months then did nothing but produce warm coffee and not hot. I would tell anyone do not purchase this item. After using this product for only a month, the unit has completely stopped heating. It started poring coffee out all over the counter, and now won't work at all. Very disappointed in this coffee maker! The worst coffee maker in the world.g. never works good, about two months then did nothing but produce warm coffee and not hot. I would tell anyone do not purchase this item. This machine is awful! 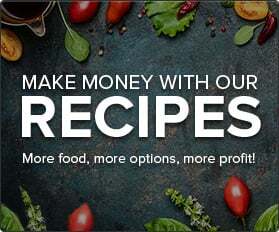 Webstaurant store's customer service is awful! The machine broke after 1.5 months we did not manage to get half a case of coffee through it before it broke down. It does not heat at all, the water simply flows through cold, and nothing happens. Instead of mediating the claim in a timely manner I have been told 3 separate times that webstaurant store will need to reach out the manufacturer. They said it would take 1-2 days, well its been over a week. I work in an office of 22 people not 200, and it broke in 1.5 months, you'd think you could manage some better service after having sold a defective machine. BE WARNED!!! This only comes with a 6 Month Limited Warranty which happens to be around the same time as it has a fatal failure. (Ours failed within 3 days past the delivery date) From the start, our unit would intermittently not brew a full pot. This is especially the case if a pot was already brewed. We thought it was because folks weren't waiting for the brew to complete before taking a cup. Then we kept experiencing overflow when only a single pot of filtered water was put into the reservoir. Again, thought this was user error but turned out to be the machine failing during the brewing cycle. It finally died today. Now, we literally have to turn the whole unit off and wait for 30 minutes so the heater can cool down enough to trigger the pump again, Then it might brew a full pot. The extra money saved on this budget model isn't worth it. Looks good on the outside but is no better than a manual brew process. 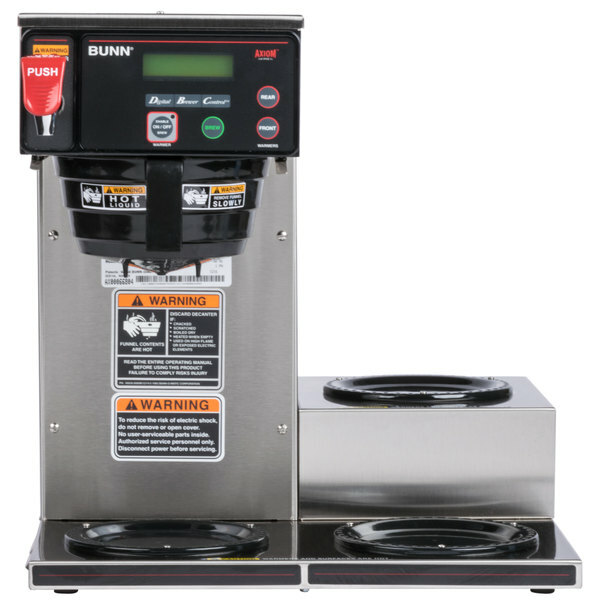 The Bunn CWTF20-TC automatic commercial coffee machine is integrated into your water line and brews directly into a thermal carafe, making it an ideal model for busy restaurants, diners, and cafés. This sturdy stainless steel model can withstand your toughest use, and the thermal carafe style will keep coffee hot and ready to serve for hours. This the best price on this product on the internet. It is a great coffeemaker and takes the concern out of leaving it on overnight. This is the second one of it's kind for our office and I wouldn't buy another! 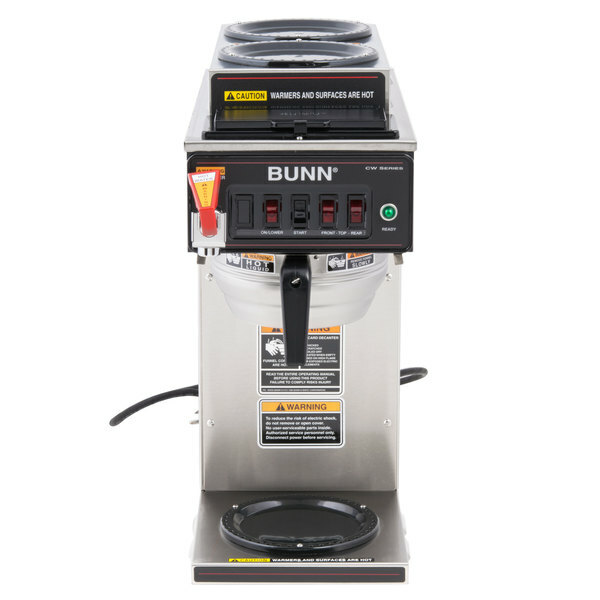 Equipped for heavy use in your busy establishment, the Bunn CWTF15-3 commercial coffee maker won't have a problem standing up to your most hectic breakfast rush. Wired to your water line, this model is able to brew 61 cups of coffee per hour, all while the warming plates keep three pots warm simultaneously. Also featuring a backup pourover system, this machine ensures that you will never run out of fresh coffee for your customers. 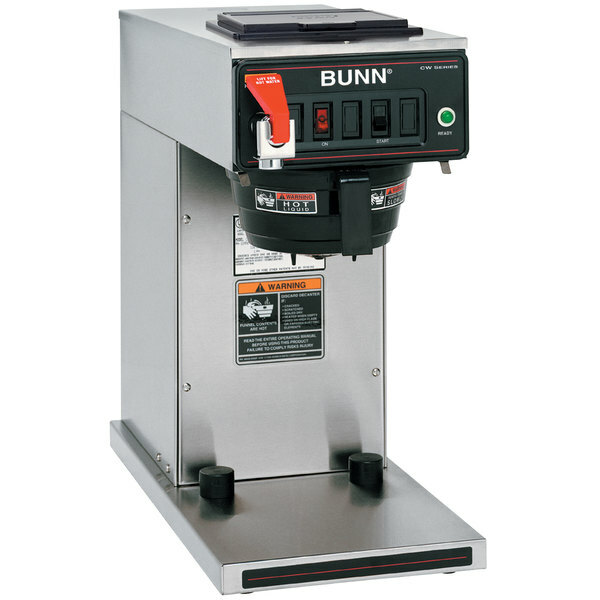 We've had the Bunn 12 cup coffee brewer for over a year and it's working great. The coffee comes out quickly and heats the water fairly fast. We use it for a small donut shop and go through about 6-10 pots of coffee per day. Be sure to use a water filter. This is a very solid well built coffee maker for the money. Simple to use and own. the water that comes out of the spot is the perfect temp for tea. A good all around buy. Your customers' ever-present demand for caffeine won't deter the Bunn Axiom 15-3 automatic commercial coffee machine from brewing your delicious coffee. 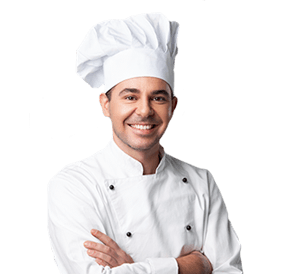 Wired to your water line with three warming plates and a hot water faucet, this commercial coffee maker is best for busy establishments that frequently serve hot coffee and tea. Also featuring programmable digital controls, this coffee machine will allow you to brew up the perfect pot of coffee every time. A perfect coffee pot for high traffic areas. The three warming pads allow you to brew ahead and keep the coffee hot when preparing for peak business times. Great coffee maker. Very fast and quiet. So many features I didn't know coffee pots could even do. Easy to clean and very reliable, nice. Fast and Quiet. We didn't realize it has to be hooked up to it's own water supply, but in the long run so much easier. The filters that come with it fit perfectly having trouble finding the same one's. Recommend saving one for comparisson. This coffe maker is wonderful. In three easy minutes you can have hot warm coffee available. Its great for a conference room or meeting area where the guests can make coffee for themselves. Give customers the caffeine they crave by using our commercial coffee maker comparison! No matter what type of establishment you run, freshly brewed coffee is always a hot commodity. 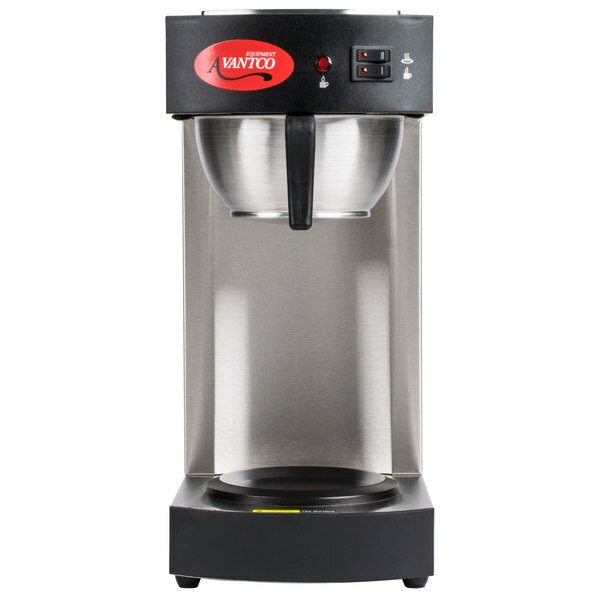 Our commercial coffee maker reviews outline a variety of different features, like hot water faucets and reservoir tank size, to help you give your customers what they're looking for. Our light duty pourover machines are great for waiting rooms, gas stations, and break rooms, while our heavy duty models are perfect for cafes and diners. This commercial coffee machine comparison makes it easy to choose the perfect coffee maker to fit your business.